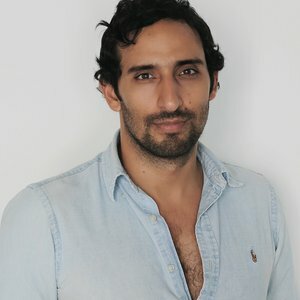 To the creative leadership at LOWE, it is no surprise that Colombian born Carlos Camacho, has turned around the creative reputation of Vietnam and not just Lowe Vietnam. When Carlos arrived in HCMC from LOWE SSP3 Bogota, he was the youngest and the most awarded ECD from Latin America to land on the shores of Vietnam. In less than 8 months, he has won at every major global and regional advertising festival and truly put Vietnam on the global creativity map. From Vietnam’s first ever gold at Cannes to its best ever performance at Spikes; from its first ever Epica to the most number of MMA Smarties, Carlos has provided the inspiration that this young country needed. For Carlos, this is just the beginning of his Asian voyage, he is forever hungry for bigger and larger challenges. Carlos has also been chosen to participate in the jury pools of several festivals in Latin America, Europe & Asia. Apart from being a creative person, he is also an entrepreneur who has created his own brand of coffee and his own chain of restaurants. He is one of the rarest creative minds who have won an architectural award for his restaurant design. Carlos is a great example of a creative mind in the modern era, proving that ideas can not only solve complex problems but can also be great for business.